GTA is an Oxford based British Hip-Hop group with a real old school / new school flavour to their music. Their debut album ‘The Way’ has been 3 years in the making and features the title cut featuring Jada Pearl and the new single ‘Breakthrough 08’. GTA itself does not stand for anything. However band members Chima Anya & Ineffable like to say it can mean whatever you want it to be. Join GTA in conversation with Sly on The Sunday Afternoon Affair on Life 103.6FM, Sunday 23rd November 2008 @13:15hrs. Reazon has always been interested in music from a young age. His father is Rick Clarke so he has always been surrounded by music. Reazon started off as a DJ, he say£s as with most DJ’s, once you master the technique of mixing, and realise the effect music has on a crowd, you start to adapt your skills using the knowledge that you gain from listening & playing tunes. Reazon started producing at the age of 15, mainly Grime/Rap. It was not quite what he expected, but it was a start and he progressed on from there. The name Reazon came about when he became more familiar with producing. My Lady, Reazon£s debut single, is a slick urban track, written, produced and performed by Reazon himself. The song focuses on love between young lovers. Artistic producer Don E was so impressed with Reazon£s production and writing abilities he re-mixed My Lady to produce a soulful dance mix as well as collaborating and producing a funky mix of the song. Join Reazon in conversation with Sly on The Sunday Afternoon Affair on Life 103.6FM, Sunday 7th December 2008 @13:15hrs. Life 103.6 FM Brent’s community radio station has been named the best in London at this year’s Radio Academy Nations and Regions Awards. The news means that the station will be automatically entered into the Station of the Year award at the 2009 Sonys. Life 103.6 FM, was described by judges as “a community radio station which seems entirely at ease with itself because, first and foremost, it knows and understands its target audience”. The judges felt that the output they heard demonstrated that it is possible to achieve high level of local awareness without sounding parochial £ citing, as the best example of this, a feature called ‘Battle of the Brands’, which pitted local businesses against each other for a chance to win some free advertising: the judges felt that this was an excellent mechanic for building listener loyalty, and very well executed. The judges were also impressed by “the standard of the on air presentation, the station sound, and by the written submission that accompanied the Life FM entry”. Life FM Station Manager Gabriella Incalza Kaplanova, collecting the award said of the achievement: “This is the culmination of a very special year and this award is a testament to the commitment of everybody who has worked so hard and volunteered their time and efforts. “This award means so much to us who strive every day to put community radio on the map”. Jennifer Ogole, CEO of the station’s parent company BANG Edutainment, said: “We are proud to get this award and the recognition for the hard work of everyone involved in the station. “This award shows that there is so much talent at a community level but a lack of opportunities in the radio industries. It also highlights the positive role community radio stations can play in local communities. “Community radio needs recognition by the government, local councils and the public as tool in promoting cohesion, supporting local services and a viable route for those who want to become professional broadcasters”. Life FM is soon to be relaunched under the name BANG Radio. Life 103.6 FM is changing it’s name to BANG Radio 103.6 FM. This will take place on Monday 8th December 2008. You can now join me at the new time of 10am to 12noon on a Sunday for ‘The Mid Morning Sunday Show – Past, Present & Future’. You’ll still have all the great classics in the first hour and new, future and current music in the second hour along with some super features. So join me, Sly every Sunday on BANG Radio 103.6 FM or www.bangradio.fm for ‘The Mid Morning Sunday Show – Past Present & Future’ between 10am and 12noon from Sunday 14th December 2008. Admission free and we are open till 3am. Bring in the New Year in a fine style! Vivienne Mckone who was born in London, began dancing at the age of two and worked as a child in television. She attended a local dancing school, training in American tap and jazz then went on to attend the Royal Ballet School. She appeared as a child as ‘Velma’, the solo dancer, in Alan Parker’s Bugsy Malone, and inspired by the music of Paul Williams and the Soul and Pop music of the 70’s began a musical theatre involvement whilst performing as a solo artist and continuing acting and television work. She has appeared as the receptionist in BBC’s Casualty, and her first album entitled ‘Vivienne Mckone’ was produced by American producer Stuart Levine (Crusaders, Randy Crawford, Simply Red). Her next album, entitled ‘Souled Live’, was recorded live in London in 1997. Her music, a pop-soul mix has been recognised and given a place on such albums such as the Jazz FM album Spirit of the Street – The Very Best of Inner City Cool alongside artists such as The Brand New Heavies, D’Angelo and Jamiroquoi. She has also been approached to be the solo support act for American jazz artist Al Jarreau in May 2000. In 2001 she enjoyed playing to a packed out house at the London Camden Jazz Cafe, and the Scala supporting the legendary Omar. Vivienne Mckone is currently putting together another studio album. Join Vivienne Mckone on Sunday 19th April 2009 @ 3:15 pm on BANG Radio 103.6 FM and / or www.bangradio.fm in conversation with Sly on ‘The Sunday Afternoon Affair’. 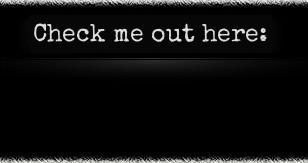 Anthoney Wright is a retro sounding soulful singer/songwriter Anthoney Wright. His well received debut album “Feet On The Ground” has been released by Palawan Productions and follows on hot on the tracks from the lead single ‘Reset To Zero’. Anthoney grew up with his grandparents in Nottingham. Where his radio-DJ grandfather introduced him to a vast’n’varied record collection ranging from Jamaican ska, calypso and lovers rock to US soul icons like Marvin Gaye and Al Green. Moving to London in his teens to live with his aunt, Anthoney’s love of music eventually saw him lending his vocal talents to dance outfits like A Man Called Adam, Krush and – later on – Basement Jaxx, whose 2003 smash LP ‘Kish Kash’ featured him on two tracks. However, despite his initial love for the glitz’n’glamour of metropolitan life, Anthoney’s solo career did not get off the ground until after 2004 found him trading in his then-hedonistic lifestyle for a more spiritual existence. Which – following time spent on BBC’s ‘The Monastery’ (a TV show that showed five people spending six weeks in Worth Abbey) – eventually led to him becoming a Buddhist. The aforementioned debut album has input from established production teams Absolute (Spice Girls/Tina Turner) and Pete & Steve Lewinson (Simply Red/Corinne Bailey Rae), its diverse moods move from the Sixties-influenced soul of ‘Reset To Zero’ and blues guitar-tinged ballad ‘I’m A Fool For You Now’; to the punchy Motown feel of ‘Looking Thorough The Window’ and more aggressive intensity of the Sean Escoffrey co-penned ‘Barricades’. Join Anthoney Wright on Sunday 28th June 2009 @ 3:15 pm on BANG Radio 103.6 FM and / or www.bangradio.fm in conversation with Sly on ‘The Sunday Afternoon Affair’. Get Your Own Dj Sly Mugs Now! Over the past 10 years soulful twins Kendall and Kelvis Duffie have established a sound that has given them acclaim and respect in the world of Soul and R&B. Since the release of their 2002 UK debut “On Kloud 9”, the guys have become a favourite in the UK and around the world for lovers of quality soul music. Topping the charts and garnering rave reviews the guys have earned a reputation that has stood the test of time. Their latest offering is a collection of some of their most beloved songs including “Can’t Stop Thinking About You”, If You Ever” and the quiet stormers, “Priority” and “With Me” plus lots of other great Kloud 9 songs from their past 2 albums. In addition there are several brand new bonus tracks including the feel good dancer “Everything Is Good 2nite” featuring Incognito and “She’s Got That Kinda” a classy R&B groover reminiscent of recent hits by Joe and Charlie Wilson. With a blend of Hip-Hop and R&B, Cuziano has been singing and performing since the age of 5. In his early years he won state championship in vocals four years in a row, which led to a vocals scholarship and opera training. With a solid background in music and the influence of the streets of St. Louis, Cuziano set his mind on being the first platinum R&B artist from The Lou. Cuziano reminds you of the soulful sounds from the 50s and 60s blended together with today’s sound. Song-writing has been a strong suit for this young and hungry artist. Being compared to Marvin Gaye, Usher and others, Cuziano has already changed how R&B will sound in the future. Cuziano’s new album “Real Rhythm, Hip-Hop & Blues” contains music by platinum producers such as, DJ Squeaky (Eightball & MJG, Three 6 Mafia), Mike Mosley (2 Pac and E40) and J. Harrold (Beyonce, LL Cool J and 50 Cent). To purchase a copy of the album “Real Rhythm, Hip-Hop & Blues” please visit. Marc Staggers-a native Washingtonian-is an R&B singer with a unique and soulful style that is somewhat reminiscent of the late Luther Vandross. Before embarking on his new journey, Marc had released several gospel projects and was involved in past compilation CD projects including “Songs of Inspiration” and “What He’s Done for Me,” with the late Clifton Dyson. Marc had several radio appearances including “Glory in the Morning,” with Winston Chaney on 1340 WYCB (Radio One); Heaven 1580, with Matt and Cheryl; and WWGB 1030, with Debra Britt. Marc was the executive producer of “If You Can Dream,” on 1340 WYCB, which sought to promote local talent. Marc’s Television appearances have been featured on the Maryland Public Television (MPT) program “Artworks This Week,” with Nate Howard; ABC Channel 2 News, with Terry Owens; ABC Channel 2 “Grace & Glory,” with Lee Michaels; PAX Cable Television show “Life Styles,” with Deborah Britt; and the cable program “Glorify His Name,” hosted by James McCollum. Staggers soulful voice has carried him into many venues including singing background for Mom and Pop Winans at “From the Heart Ministries”; and Kathy Myers at Lincoln Theater in Washington DC. He has also performed and recorded with the Late Clifton Dyson and Stu Gardner, musical director for Bill Cosby. Other behind the scenes opportunities have included producing a radio talent show that showcased new gospel acts called “If You Can Dream” which lived a short season on Radio One’s WYCB 1340AM in Washington, D.C. Staggers has also been featured on numerous live performances, including The Million Mom’s March in Washington, D.C and at the British Embassy for the Washington Redskin Darrell Green Charity foundation. Brand New Year, Brand New Decade And A Brand New Show Time, Join Me Sly From Sunday 3rd January 2010 On Bang 103.6 Fm From 4pm To 6pm, That’s 4pm To 6pm. The Show’s Call The “Sunday Afternoon Affair” And Is Jam Packed With All Your Favourite Classics And More. 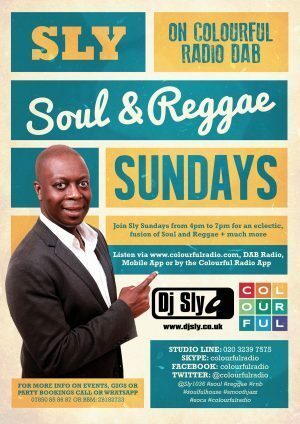 So That’s Yours Truly Sly With The “Sunday Afternoon Affair” Right Here On BANG 103.6 Fm Or World Wide At www.bangradio.fm. Here’s another chance to listen to Marc Staggers interview with Sly on BANG 103.6 FM recorded on Sunday 13th December 2009. Enjoy! Teena Marie was born Mary Christine Brocker in 1956 in Santa Monica, California, USA. A singer, songwriter, multi-instrumentalist, arranger and producer, Teena Marie is one of the few white artists to sustain a consistent career in the US soul market. Spotted by Motown Records’ Berry Gordy in the mid-70s, he linked her up with funk star and labelmate Rick James, and her early career strongly reflected their joint influences. The highly commercial ‘Wild And Peaceful’ debut album saw her backed by James and the Stone City Band on a set that included their hit duet, ‘I’m A Sucker For Your Love’. She returned the favour by partnering James on ‘Fire And Desire’ on his ‘Street Songs’ album in 1981. Afterwards, Marie took increasing control of her career and songwriting, singing both ballads and funk. Both ‘I Need Your Lovin’ and ‘Square Biz’ reached the Top 20 of the US Billboard charts in 1980 and 1981, respectively. In the UK, ‘Behind The Groove’, a surprise smash hit at number 6 in the singles charts around 1980. However, her greatest success followed her move to Epic Records, which some saw as an assertion of her independence, with the number 4-peaking US hit, ‘Lovergirl’. Demonstrating her talent for modernising her technique with the advent of each new instalment in R&B’s development, ‘Ivory’ the album was produced by Soul II Soul ‘s Jazzie B in 1990. After 10 years out of the spotlight Marie returned in 2004 with a new album ‘La Dona’ on a new label Cash Money Records. She had success with the single ‘I’m Still In Love’. A further album ‘Sapphire’ was released in 2006. The new album ‘Congo Square’ was released in 2009, and is being received really well. For the first time around 17 years Teena Marie is coming to the UK for a live performance. She will be at London’s Indigo2 on Saturday 30th January 2010. Here’s another chance to listen to Jeff Ramsey interview with Sly on BANG 103.6 FM recorded on Sunday 28th February 2010. Enjoy! Gwen McCrae was born as Gwen Mosley in Pensacola, Florida, U.S.A., in late 1943. She sang, as many Black Children did at the time, in the Church. Gwen attended a Pentecostal Church. Gwen first met George in Pensacola and the pair married in 1964, after a relationship that was only a week old! George was in the Navy at the time and, after leaving the services, he reformed his old group The Jiving Jets, and offered Gwen a role within the group.The duo soon left the group to perform as a husband and wife team, with Gwen later relocating to West Palm Beach, Florida, up until 1975. Along with George, Gwen was part of the Miami based T.K. Records operation during the Seventies. The duo was, originally discovered by the singer Betty Wright back in 1967.Betty aided the duo, by helping them get a deal with the Henry Stone owned Alston imprint. In 1969, they released their debut single ‘Three Hearts In A Tangle’. This was followed up by ‘Like Yesterday Our Love Is Gone’.The duo had now collaborated with Clarence Reid and Willie Clarke, a team that was later to blossom under the T.K. umbrella. A third single entitled ‘No One Left To Come Home’ was released and the pair began session work alongside Betty Wright. Gwen first found solo success in 1970, remake of the old Bobby Bland gospel-blues song, ‘Lead Me On’ (R & B number 32). The record was recorded for TK Records. Alston leased her contract to Columbia where she recorded several more singles over the next few years. Columbia then declined to renew Gwen’s contract in 1973, and she was signed to a different Henry Stone label, the T.K. subsidiary, Cat. At that imprint, she followed with a remake of the Ed Townsend oldie, ‘For Your Love’ (R & B number 17). Gwen had a minor 1974 hit with the song ‘It’s Worth the Hurt’, however, the song’s success was overshadowed by George’s recording, namely, the enormous pop hit ‘Rock Your Baby’. Gwen had her only pop hit with the song ‘Rockin’ Chair’ in 1975, with the number 1 R & B hit crossing over to reach the U.S. Top 10. During this period, George and Gwen’s marriage went through some turbulent times, with George, allegedly, beating his wife, however, they did record the album ‘Together’ as a duo. After a 1976 duet single, ‘Winners Together, Losers Apart’, the couple separated. The same year Gwen scored what turned out to be her last chart hit for the Cat imprint, ‘Damn Right, It’s Good’ and released the album ‘Something So Right’. 1978 saw the release of the album ‘Let’s Straighten It Out’, the title song being a fine cover of the Latimore original. ‘Love Insurance’ (R & B number 16) followed with ‘Cradle Of Love’ in 1978, both taken from the ‘Let’s Straighten It Out’ album, additionally. Back at the CAT label, Gwen released the, much in demand, album ‘Melody Of Life’.The set included the excellent dancer ‘All This Love That I’m Giving’ and the floater ‘I Can Only Think Of You’. TK folded in 1980, and Gwen relocated to New Jersey, and while there signed with Atlantic, after which she entered the charts with ‘Funky Sensation’ (number 22 R & B) in 1981, produced by Kinton Knix. 1982 saw the release of the album ‘On My Way’, containing the excellent, Willie Hutch penned, Webster Lewis produced ‘Keep The Fire’s Burning’. Gwen then relocated back to Florida, and recorded a single for the Black Jack label in 1984 entitled ‘Do You Know What I Mean,’ and then retired from the music business. Her last U.S. chart record was in 1984, however, in the U.K. she had a hit with the re-released, ‘All This Love That I’m Giving’ (number 63), in 1988. In 1990 the U.K. based Expansion label released ‘I Can Only Think Of You’ from the ‘Melody Of Life’ album as a single. Gwen then recorded an album for the British Homegrown label in 1996, entitled ‘Girlfriend’s Boyfriend’. After returning home, Gwen then signed for the Goldwax label, distributed by Ichiban, and recorded another album later that year, entitled ‘Psychic Hot Line’. In 1998, Ichiban reissued ‘Girlfriend’s Boyfriend’ in the U.S. In 1999, she issued the album ‘Still Rockin’ for the Phat Sound imprint, which was well received. Gwen then recorded a gospel album entitled ‘I’m Not Worried’ in 2004, for the U.S. Lewmar label, and is due to tour Europe in 2005. A new song entitled ‘Latter Day Rain’ is due for release during April 2005, on a compilation entitled ‘Volume 22 SIMS RECORDS’, advertised in America’s Number 1 Gospel Music Newspaper ‘U.S Gospel News’. Gwen returned to the recording studio, and, along with several veteran TK artists, recorded the album ‘Gwen McCrae Sings TK’. Born on 15th March 1947 in Columbus, Georgia, U.S.A., Sarah Jean Perkins is more commonly known as Jean Carne. Raised in Atlanta and with her roots being in jazz, Carne learned to play almost every instrument in the orchestra. Her recording career began in 1971, with her pianist husband Doug Carne. Together from their Californian base they made three albums for Ovation Records that brought widespread recognition. A fourth album ‘Higher Ground’ was put together featuring the best tracks of the previous three. At this stage Jean was often praised for being one of the first Afro-American women to define her own voice and image, rather than being moulded by the industry. Jean performed with Duke Ellington, the last vocalist to do so just before his death. Continuing to perform at various nightclubs she was spotted by producer Norman Connors. She now teamed up with Norman for four highly acclaimed albums. Signing to Philadelphia International Records around 1976 she recorded four more albums and probably her best to date. In 1982 she worked with Norman Connors again on her Motown album ‘Trust Me’. Al Johnson with whom she recorded the classic duet ‘I’m Back For More’ in 1980 incidentally wrote the track ‘Trust Me’. In 1986 Jean scored a record deal for Omni / Atlantic Records. Here she recorded the brilliant albums ‘Closer Than Close’ and ‘You’re a Part Of Me’ including the fantastic tracks ‘Heartache’ and ‘Early Morning Love’. By 1995 Jean hard teamed up with Expansion Records to record the album ˜Love Lessons™. In 2002, Jean toured the U.K. with her Musical Director Nathan Heathman with appearances at the London Jazz Cafe in March of that year. 2003 saw the release of ‘Collaborations’, an album again for Expansion Records that featured Jean’s various musical collaborations over the years. She continues to tour for six months every year, spending the rest of her time at home in Atlanta with her three children.